Y.P.R. : The Giants Win the Pennant! The Giants Win the Pennant! 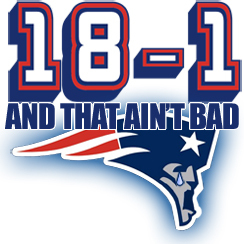 A scrappy team of grown men playing a children’s game for millions of dollars from New York miraculously overtook the near-perfect team of grown men playing a children’s game for millions of dollars from New England yesterday, thus proving … the audacity of hope. 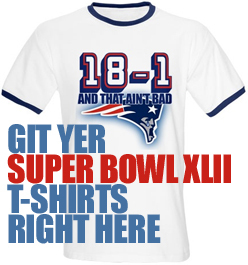 Wear your pride on your chest with Yankee Pot Roast’s commemorative Super Bowl XLII T-shirt. Collecting Y.P.R. 's coverage of Super Bowls past. I really dig that Obama. Sharp guy and young, too. So I think Barack Obama would rock my vote because he's probably the only candidate who knows my music. Cool name, too!